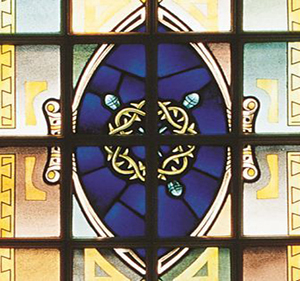 The stained glass windows in the Chapel represent moments of importance from the Old and New Testament scriptures. From the vestibule entrance, the symbols on the left front wall progress from the Old Testament back to the New Testament on the right wall. 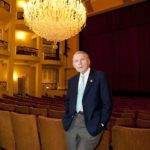 The windows were given in honor of individuals who made significant contributions to the life of the University community. 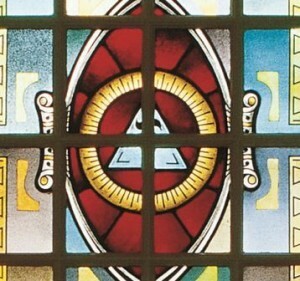 The Creation Window depicts a triangle, which represents the Trinity. In the center stands the Hebrew letter yodh, the first letter of the Holy Name, YHWH. The bursts of rays on the outside, around the earth, depict the instantaneous act of creation. 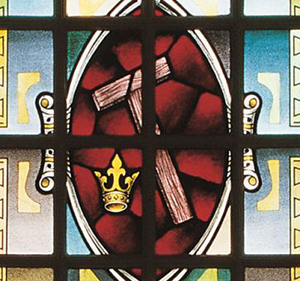 The Prophecy Window features the Tau cross raised up by Moses in the Wilderness, and the crown of Christ. The window symbolizes the succession of prophets from the first to the last. 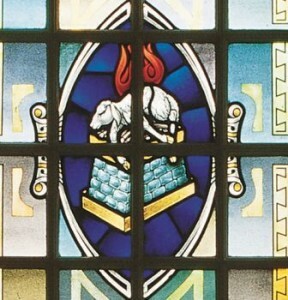 The Priesthood Window features an altar with sacrifice. 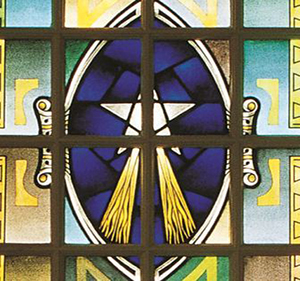 The window symbolizes the priesthood and the ceremonies of the Temple, where the children of Israel came to worship their God. The Epiphany Window depicts the coming of Christ. 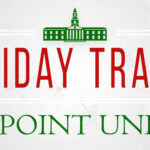 It is symbolized by the star of Bethlehem, which led humans to worship Christ at the place of his birth. 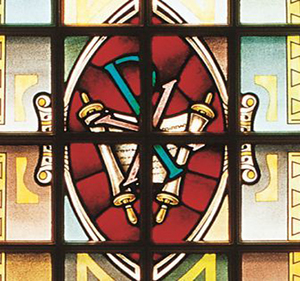 The Ministry Window features the Chi-Rho monogram, standing for the Greek word for Christ. The scroll represents the teaching ministry of the church. The Crucifixion Window depicts the crown of thorns and the nails, which remind us of the suffering and death of Christ. 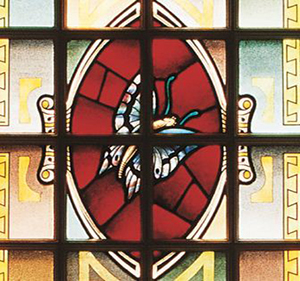 The Resurrection Window contains the butterfly, which is born anew from a different body. It serves as a symbol of the resurrection of Christ, as he was raised from the dead in a spiritual body. 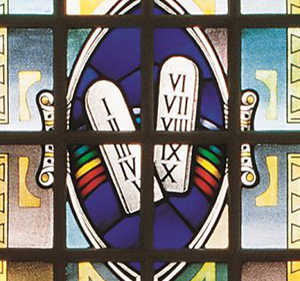 The Covenant Window represents the rainbow given to Noah as a sign of God’s covenant with all people upon the earth. The tablets represent the Law, given to Moses on Mount Sinai. 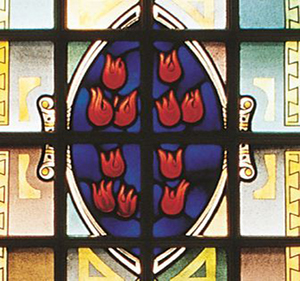 The Pentecost Window contains the flames that represent the day of Pentecost, when the Holy Spirit came upon the disciples and they began to speak in other tongues. It represents the spreading of the Church throughout the world.